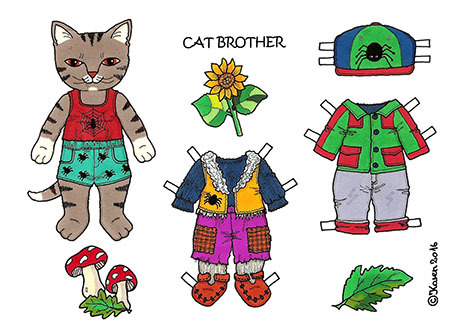 Cute and fun to make Cat Brother paper doll, created by my friend Karen Bisgaard. 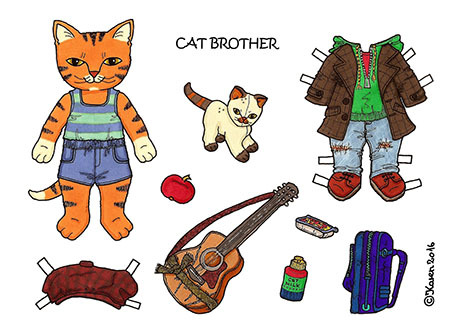 This paper doll has a lot of costumes to choose from and very easy to make. Visit Karen's Paper Dolls for more exclusive and original paper dolls.